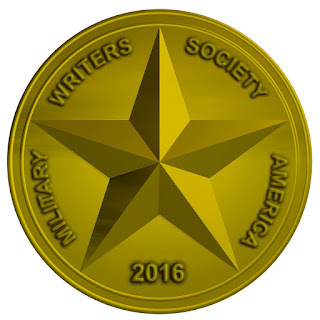 The non-profit Veterans Writing Project publishes both an on-line and quarterly print literary journal titled "O-Dark-Thirty." Editors there recently included in their nominations to the 2018 Pushcart Prize a poem by Randy Brown. Brown's poem "Airman, Second Grade" was published in their Summer 2017 "O-Dark-Thirty"—a special edition that focused on a theme of "identity." A digital copy of that issue can be accessed FREE as a PDF at this link. The Pushcart Prize annually seeks the best poems, essays, and short fiction, as nominated by small press publishers and literary journals. 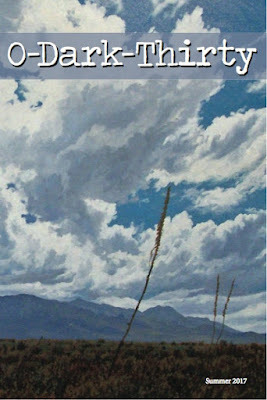 It is Brown's second Pushcart nomination. 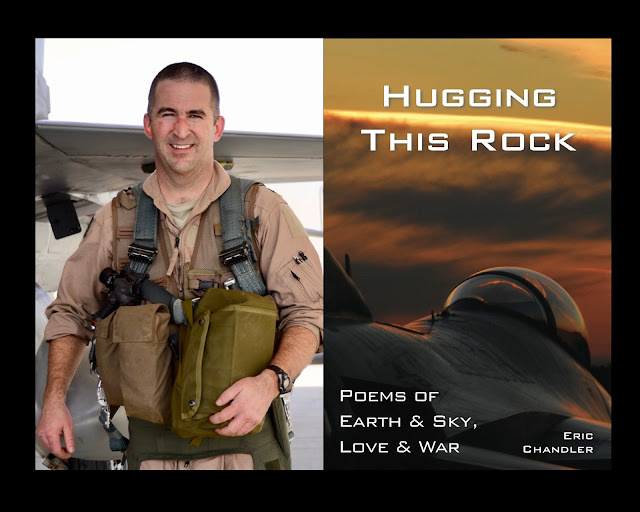 In 2016, his work "fighting seasons" was nominated by the War, Literature & the Arts Journal. That work also appears in his collection "Welcome to FOB Haiku: War Poems from Inside the Wire." you ask me where I’m from. are in the Air Force. that my pants are on fire. My family is in the Air Force. through conversations like this one. Kids can’t be in the Air Force, you laugh. I burn, my face hot. My eyes sting. 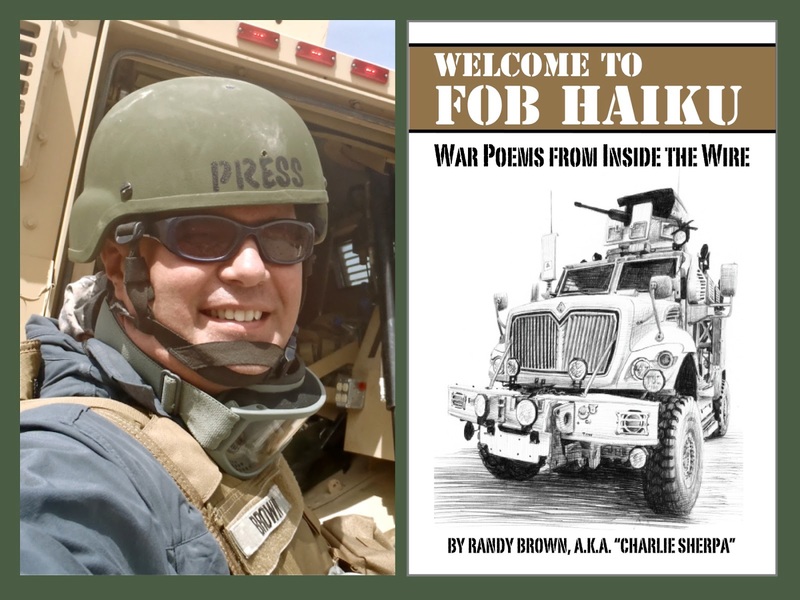 An extensive Q&A-style interview with Randy Brown, author of "Welcome to FOB Haiku: War Poems from Inside the Wire," was recently featured on The Live Oak Review, an on-line literary journal that focuses on author interviews and book reviews of contemporary poetry, literary fiction, and creative nonfiction. 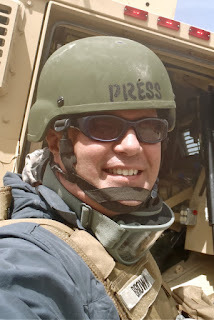 Poet Stephen Sossaman, founder of Poets and War website, and a professor emeritus of English at Westfield (Massachusetts) State University, conducted the interview. The interview can be read in its entirety on the journal's website here. In their conversation, Sossaman and Brown contrast the engines of today's war poetry with that of the Vietnam War generation; talk about whether the direct experience of war is necessary in order to write poems about it; about how social media has shifted the responsibility of mediating war experiences onto individual soldiers and family members; and about the roles of humor in poetry and in the military. Stephen Sossaman: My own guess is that your fine poem “night vision” might become the go-to poem about the war in Afghanistan, or maybe “dust bunnies and combat boots.” And for the complex feelings that most veterans experience after coming home, “Suburbistan” seems to me to be a very moving expression of disillusionment and nostalgia. Randy Brown: “Suburbistan” still makes me laugh, every time my family hears helicopters overhead or small arms fire on Range Day. We don’t live in what you’d think of as a “military community.” I grew up in an active-duty Air Force family, and I’m familiar with the all-pervasive presence of a large military installation. Shopping at the commissary. Traffic signs flashing “low-flying aircraft.” Here, there’s just a small National Guard post nearby. You’d think we’d be insulated here, in the middle of the middle class in middle America, and yet we encounter reminders of war on a nearly daily basis. Not just reminders, but realities. Conex boxes staged at Starbucks. Convoys of ground vehicles delivering troops for training, or equipment for fixing. If people say they don’t know what’s going on in the world, they’re not looking very hard. For more, visit The Live Oak Review here. While there, be sure to also check out a review of war writer J.A. Moad II's play "Outside Paducah: The Wars at Home," in production through Oct. 15, 2017 by the Poetic Theater at The Wild Project, 195 E. 3rd Street, New York. 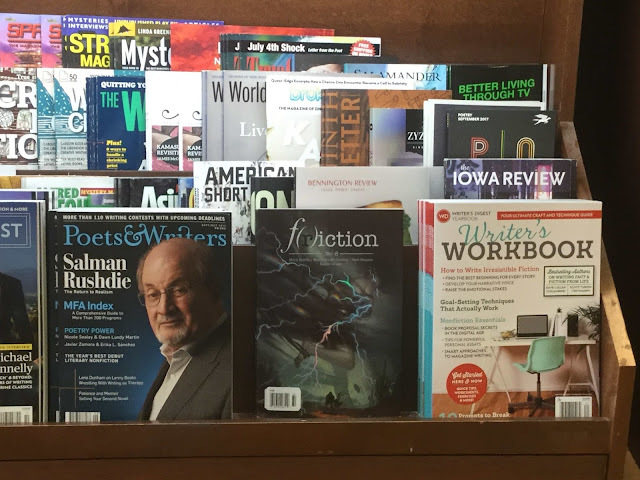 A special selection of Veterans Writing Project work, including "love sonnet to a new K-pot," is featured in the Summer 2017 issue of F(r)iction magazine, published by Tethered by Letters. Issue No. 8 is currently available for sale via the publisher in both electronic and print editions. 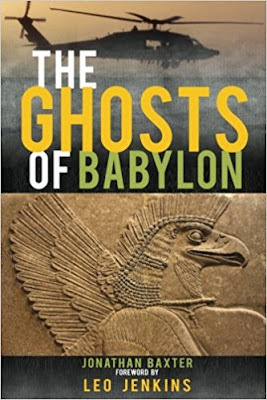 Print editions are also currently available nationwide at Barnes & Noble, Books-A-Million, and independent booksellers. Look for it on newsstands alongside literary journals and writing magazines. Readers should also check out a poem titled "Blood Stripes" by a Iraq War veteran Aaron Graham, which appears separately in the same issue. F(r)iction is different. The brainchild of a ragtag team of editors, artists, and writers, F(r)iction is the best of everything we’ve ever loved. F(r)iction is experimental. F(r)iction is strange. F(r)iction pokes the soft spots, touches nerves most would rather remain protected. F(r)iction is secrets and truths and most importantly—stories. F(r)iction is weird, in every respect. 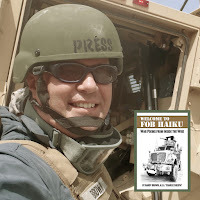 Veterans Writing Project is a 501(c)3 non-profit based in the Washington, D.C. metro area. 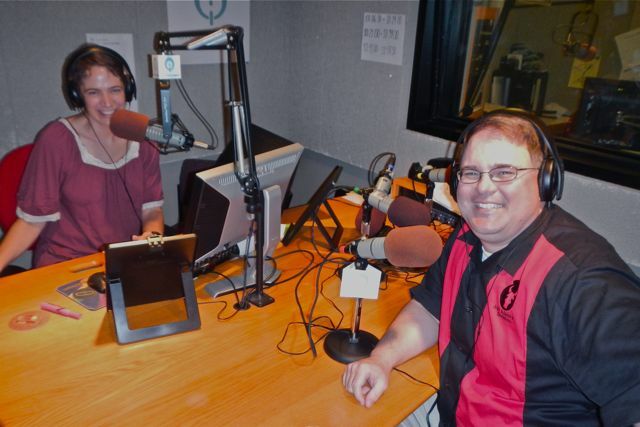 The project teaches no-cost creative writing workshops to military service members, veterans, and family members; assists in medical research of expressive writing as a therapy at National Intrepid Center for Excellence (NICoE); and publishes the quarterly print and on-line literary journal "O-Dark-Thirty." 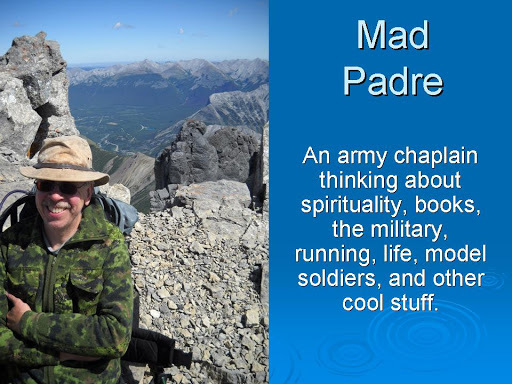 MadPadre calls the latter category "most challenging aspect to war literature of any generation." 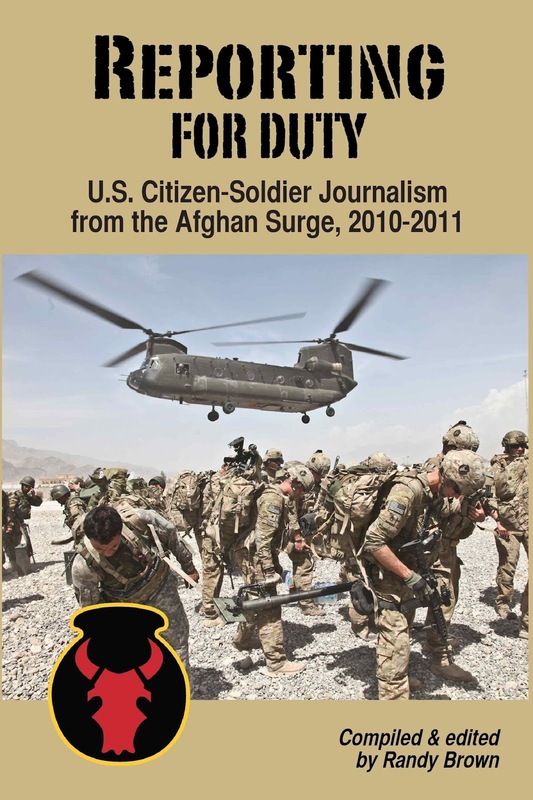 He asks, "What distinguishes a soldier's memoir or a journalist's account of war from that of a poet or novelist? What are the standards by which we can assess the craft of war literature from the content?" but they can't hit sh--. Brian Turner's 2005 collection of poems, "Here Bullet," based on his experience in Iraq, has a different quality than Brown's often colloquial tone, more formal and perhaps more introspective. Turner's work is beautiful and haunting, and shows, as [Adin] Dobkin notes in his [Los Angeles Review of Books essay titled "The Never-Ending Book of War"], how war literature can create strains of empathy which complicate and even overcome the enemy's Otherness. In Turner's ''In the Leupold Scope'', a rifleman is suddenly connected with an Iraqi woman on a distant rooftop, hanging laundry. 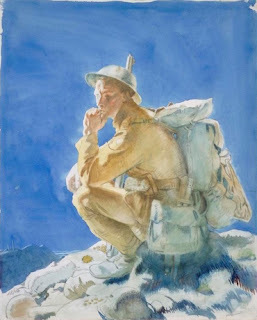 In the soldier poet's mind, that woman becomes a muse channeling the countless war dead through her billowing clothing, creating a powerful sense that the soldier is an interloper, complicit in an eternal tragedy. running hard into the horizon's curving lens. You can read MadPadre's essay in its entirety here. 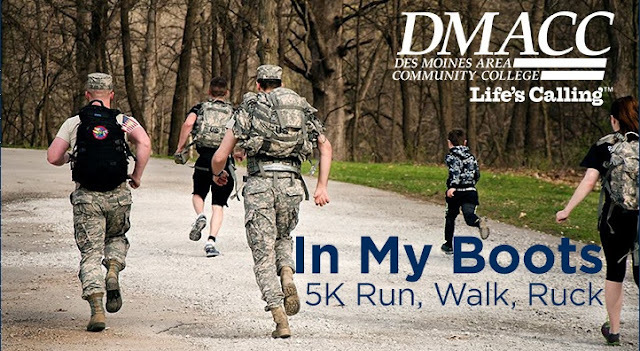 "Des Moines Community College has a history of helping Iowans put knowledge, experience, and service together in creative ways," says Brown. "I'm hoping to share how and why our citizen-soldiers made history in Afghanistan, and how we can engage each other in conversations and stories about war. A freewill-donation spaghetti supper will start at 6 p.m., with Brown's presentation to follow in the college's auditorium at 7 p.m. A number of related books will be offered as door prizes, as well as for purchase. 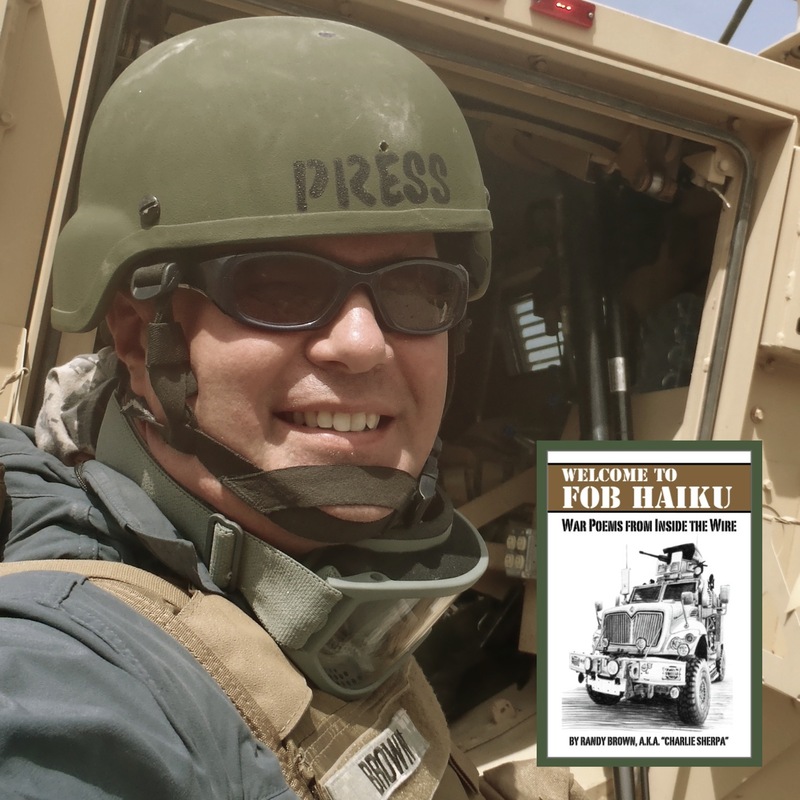 MWSA Gold Medal Awarded to 'FOB Haiku'! The award takes place after a 2015 MWSA rules revision. 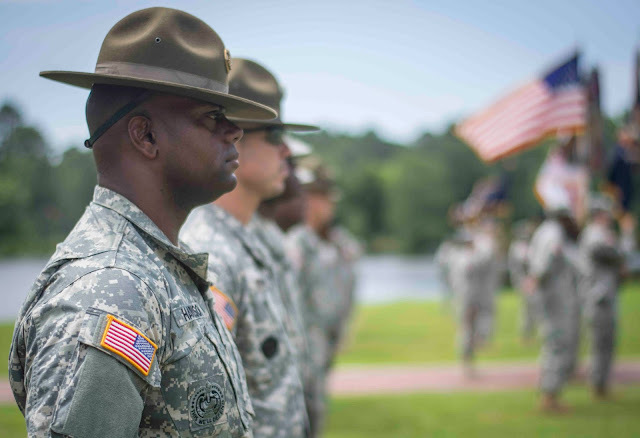 Under a new system, panels of three judges considered approximately 80 military-themed or -authored fiction, non-fiction, poetry, and other literature. According to the association: "The already stringent requirements were toughened further. Three judges read every book submitted and scored them based on content, visual, style, and technical criteria. The three scores were then averaged. To receive a medal, a book had to reflect MWSA's exacting technical standards as well as a high total score."